As part of the NROTC curriculum, the entire Battalion comes together once a week for Leadership Lab. This time is generally taken up with guest lectures, often given by high-ranking officers from various communities in the Navy and Marine Corps. Having these guests in person is an excellent opportunity for the Midshipmen to ask questions of those currently in the field. Past guests have included a former director of the Central Intelligence Agency, directors of the Navy Nuclear Power Program, as well as command- and flag-rank officers from all warfare communities. 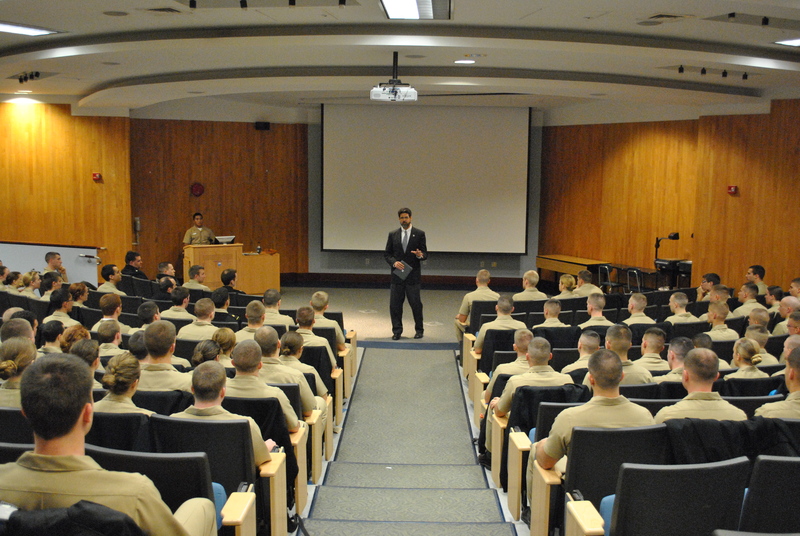 When guest lectures are not scheduled, this time is well-suited for conducting various professional programs, including Navy-wide training programs, uniform inspections, and warfare community-specific briefings led by unit staff. The Leadership Lab fosters creativity in the planning process by prompting the Student Battalion and Officer leadership to generate new and interesting activities for the students.